Do you need to Change your Last Name on your Passport after you are married? Do you need to change your last name on your passport after you are married? The wedding festivities are over and you are now married. Congrats! Time to relax and take some time off from the planning. Time passes and you never changed your passport last name, because frankly it's a big hassle! Ladies~I've listed a few must know passport key points to avoid being denied boarding by the airline for your international trip. When traveling internationally the name on your airline ticket must match your passport. If that is your maiden name or 2nd or 3rd married name, then be sure to use that name for an international airline ticket. You may continue to travel internationally under the name listed on your passport as long as the passport is unexpired and valid for 6+ months following your return date on your airline ticket. Some countries require validity for 12 months, so it is always good to double check each countries requirements. 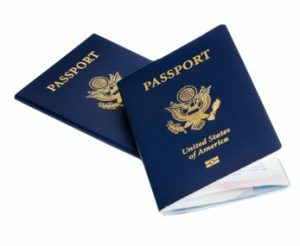 If you have multiple last names, you need to use the names as listed on your passport for international travel. Nicknames and abbreviations are not legal names. The airline or TSA will not ask for a copy of your marriage license. They have no idea that you are married or remarried, nor will they ask. Your passport and drivers license do not need to match. When traveling internationally, the airline or TSA will not ask for your drivers license, it is not a valid form of ID for international travel. Your passport and social security name do not need to match. An airline or TSA will never ask for your social security card. You may continue to travel internationally under your maiden or previous married name. Airline & resort reservations for international travel need to be in your passport name. 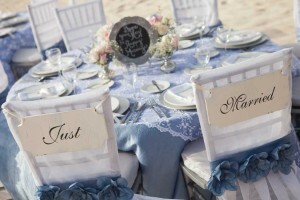 AND finally~~make sure that your husband knows you have not changed your name on your passport. He may be planning a surprise international trip for you and just assumes you have taken his last name! Please refer to the US passport website for up to date information on passport name changes. Traveling and exploring a target niche of destinations and resorts allows me to offer you insider knowledge. My goal is to offer you personalized detailed-oriented service for your destination wedding, honeymoon, group travel or getaway. Contact me today for more information on how I can be your travel concierge and consultant.